A Greek youth is captured by Roman soldiers near his home in Thessaly and brought to Italy to be executed by gladiator in the arena. In desperation, he kills the gladiator and is claimed by the owner of a gladiatorial school. Renamed the Greek, he is forced to fight for survival but displays an uncanny ability with the swords, a passion for the adulation of the fans, and a lust to kill. 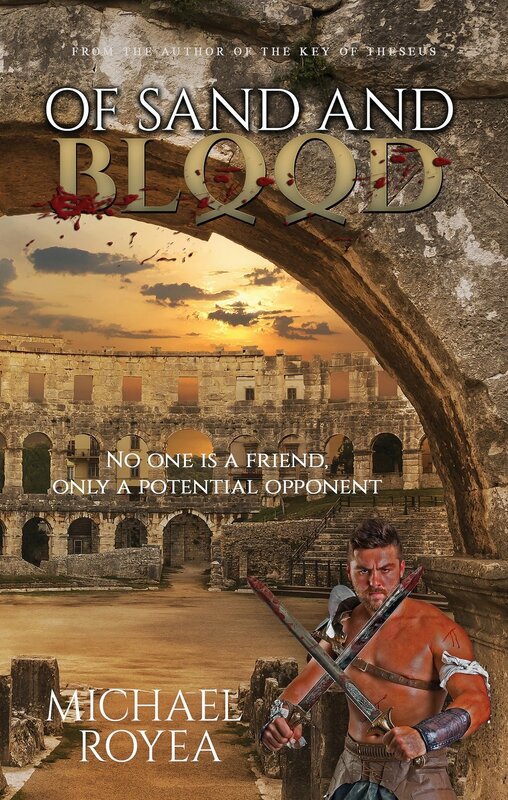 Set in Italy in the first century AD, Of Sand and Blood shares a realistic view of the bloody world of the gladiator where no one is a friend, only a potential opponent. Far from the glamorous world of highly trained athletes gladiators were, in the words of an ex-gladiator, “pigs prepared for the slaughter for the entertainment of the masses.